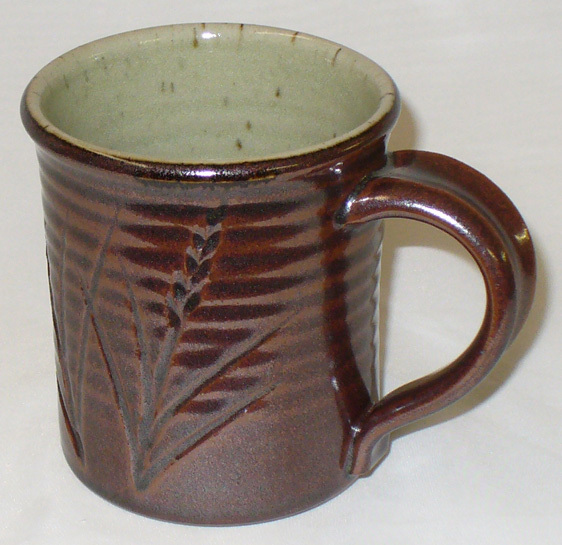 Plainsman Cone 10R Ravenscrag Slip based glaze. It can be found among others at http://ravenscrag.com. Without any added flux Ravenscrag will produce an iron crystal surface with 10% iron oxide. Ravenscrag plus 10% iron oxide on the outside, Ravenscrag Slip plus 10% talc on the inside (GR10-J). Fired at cone 10 reduction. 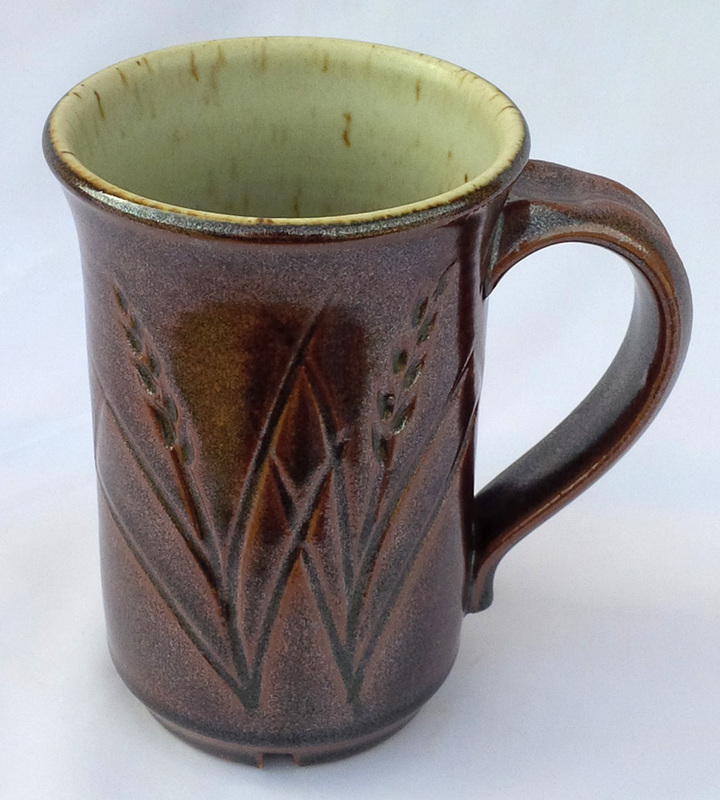 This iron crystal glaze is Ravenscrag slip plus 10% iron oxide fired to cone 10R on a buff stoneware (Plainsman H550). 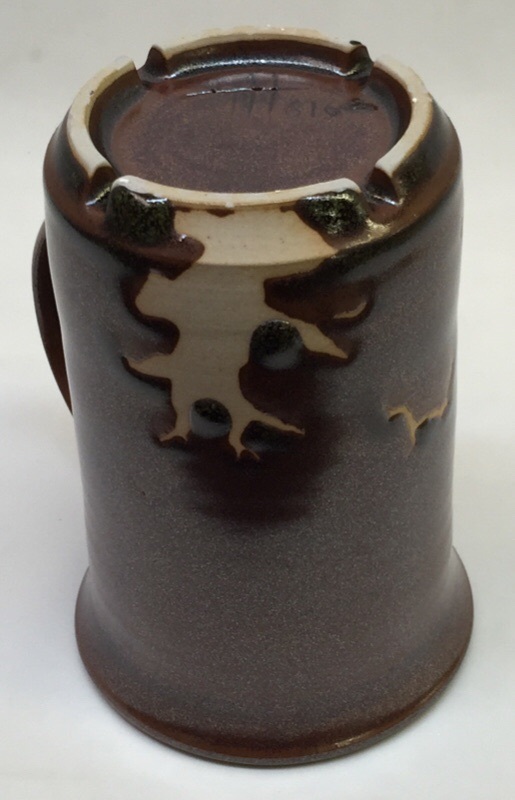 Since Ravenscrag slip is a glaze-by-itself at cone 10, it is an ideal base from which to make a wide range of glazes. It has its own website at http://ravenscrag.com. It was originally formulated using Digitalfire Insight software. The project built on the merits of a specific silty clay that was noted to couple very good suspension and drying properties with a low firing temperature. The process involved calculating what minerals needed to be added to it to produce the chemistry of a middle-of-the road silky cone 10 glaze; the product was Ravenscrag Slip. Crawling of a cone 10R Ravenscrag iron crystal glaze. The added iron oxide flocculates the slurry raising the water content, increasing the drying shrinkage. To solve this problem you can calcine part of the Ravenscrag Slip, that reduces the shrinkage. Ravenscrag.com has information on how to do this. Ravenscrag Slip iron crystal glaze fired at cone 10R on porcelains. 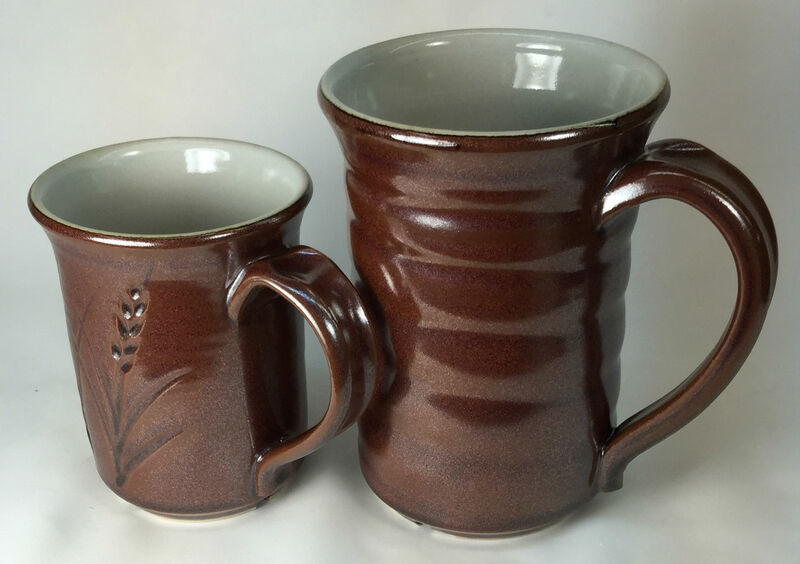 The recipe is simply 90% Ravenscrag Slip and 10% iron oxide.